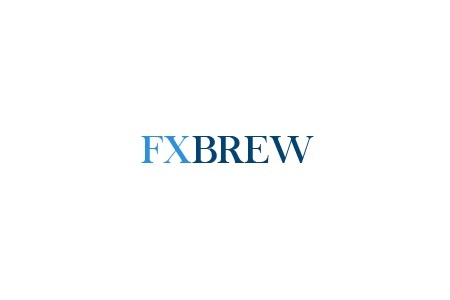 FXBrew is an offshore broker offering several account types with a leverage of up to 500:1 and the MetaTrader4 platform. Trading instruments include over 60 forex pairs with many exotic currencies like Hong Kong Dollar, Singapore Dollar, Russian Ruble, Mexican Peso, Czech Krona, South African Rand, Danish Krone, Norwegian Krone, Swedish Krona, Polish Zloty, Hungarian Forint, Turkish Lira and Chinese Yuan. And FXBrew also offers CFDs on natural gas, oil, silver, gold, 11 indices and a few crypto coins – Bitcoin, Ethereum, Ripple and Litecoin. As we tested their platform with a demo account the benchmark EURUSD spread floated around 0,2 pips. FXBrew, however takes a trading commission of 2 USD per 1 standard lot traded and that basically adds another 0,2 pips to the actual spread. Trading conditions put aside, however, we have some serious issues about the regulatory status of the broker so do not open a trading account with them until you read the following paragraphs. We tried our best, but still does not know the name of the company that runs FXBrew. From the Security of Funds section on their website we learn that the broker is registered in St. Vincent and the Grenadines, where they even claim to be regulated by the local Financial Services Authority (FSA). Unfortunately FSA of St. Vincent and the Grenadines regulates only commercial banks registered on the islands and not forex or CFD brokers. All that means FXBrew is an anonymous, unregulated, offshore broker with very little credibility. Have in mind that trading with unregulated brokers is by definition extremely risky, because the safety of your funds is guaranteed solely by the integrity of the people, who run them. Unfortunately too often such brokers are involved in scam. Properly regulated brokers on the other hand do guarantee the safety of the invested funds as they are strictly supervised by respectable institutions such as the Australian Securities and Investments Commission (ASIC), the Financial Conduct Authority (FCA) in the UK or the Cyprus Securities and Exchange Commission (CySEC). Besides brokers regulated by FCA in the UK and CySEC in Cyprus even have to insure part of the invested capital. For example you should not worry abount the first 50 000 GBP in your account with a FCA broker, even if the broker files for bankruptcy. Similarly the insurance with a CySEC broker covers up to 20 000 EUR of the invested funds. For its Micro Account FXBrew requires an initial deposit of just 5 USD and this looks fine. Payment methods include bank wire transfers, VISA, MasterCard, Neteller, Skrill, and even bitcoins. FXBrew, however offers trading bonuses of up to 100%, and you should be extremely careful when accepting a trading bonus as it is always linked to some minim trade volume requirement and respectively your right to withdraw. FXBrew does offer such bonuses, but does not state clearly, how they affect their withdraw policy. Again our best advice is to stay away form such “promotions” as they are highly controversial and the practice is totally banned by the the European Securities and Markets Authority throughout the European Union. Fraudsters do not spare their resources to get to your money. Their organization is highly sophisticated and they usually employ the services of international call centers and also the so called robo scam websites like Crypto Revolt and Bitcoin Evolution, which are especially designed as traps for careless investors. Those websites are basically designed around video ad offering fast and risk- free returns with a symbolic investment and some innovative software. And if you get interested by the idea ,you will be offered to fill a simple registration form with your e-mail and phone. After you submit your registration, you will automatically be transferred to the web page of a unregulated, scam broker, and will be asked to deposit about 250 USD. Besides, do not be surprised by how successful your first trades will be. Your profits will look amazing and soon the money in you account will nearly double. That, however will all be a theater. Your trading results will simply be manipulated with the sole intention to trick you to invest a larger sum. And that exactly will be the advise of “your senior account manager”, who will professionally explain, that if you want to make some real cash you will surely have to invest more – like 10 000 USD. As weird as it might be, but most people never realize they have been scammed until the very moment they request to withdraw some of their funds. Than it will simply turn out this is not possible, because of some minimum trade volume requirement, linked to your trading bonus. The excuse, of course might be different, but the result will always be the same – you will not be allowed to withdraw anything. If you are a victim of a scam, probably the only option you have to get your deposit back is to file for a charge back with your credit card provider. The good news here is that both MasterCard and VISA recently extended the maximum period in which you will be able to do that to 540 days. The bad news is that if scammers have tricked you to send them copies of your ID and a proof of address (your latest electricity bill for example) they will have a stronger case when you file your charge back request. Also, if by any means scammers have managed to get to your banking details like credit card numbers or online banking password, be sure to immediately block your credit card and change your banking password. And one final note. Do not seek the service of the so called recovery agencies. They will not recover you a single dime, but will simply collect some money in advance and that will basically be the end of the story.